We represent a number of successful franchises and can help you pick the right opportunity. Franchises have a defined business format that you can acquire, as long as you are accepted as an operator and have an acceptable commercial space from the viewpoint of the franchisor. There are four types of franchise formats: Individual Franchise, Multiple Franchise, Regional Franchise, and International Master Franchise. The phenomenal success and growth of the franchise business model in the U.S. continues to create viable business opportunities. 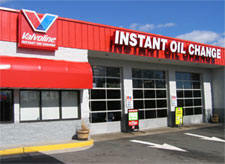 Every ten minutes a new franchise opens somewhere in the U.S.! 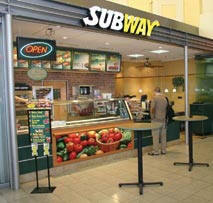 Franchising currently accounts for 40% of all retail sales in this country, nearly $760 billion worth and growing. Franchising is and continues to be the most successful business model for distributing goods and services. The undeniable worldwide success of franchises, is due to the enormous advantages it offers, consisting of a very stable model to expand a business and penetrate markets. It is also the safest and least risky way for an entrepreneur to own a business, making him the beneficiary of the synergies that franchising offers, that is, to be part of a regional, national or worldwide network. Statistics from the International Franchise Association (IFA) demonstrate that in a period of 5 years only 5% of the independently owned businesses survive, while in the case of franchises this percentage is of 95%. For this reason, franchises are considered to be an investment form that helps minimize the risk of entry into different types of businesses. Approximately 65 business categories have been developed under this format. The average investment in a franchised business is $85,000 dollars. Franchise contracts on average are awarded for periods of between 5 and 10 years. Most franchises charge between $15,000 and $25,000 dollars for their franchise fee. Royalties for technical assistance or support are around 5% of gross sales on average and 2% for advertising fund. Most franchises offer the recuperation of your investment in a period of between 2 ½ to 3 ½ years. Worldwide, franchises grow at an annual rate of between 10% to 12% in franchised units. The U.S. Department of Commerce has published the results of more than fifteen years of studies that consistently verify that the statistical success of franchises are higher than 95%. In the United States 1 out of 12 businesses is a franchise and 1 out of 3 dollars that are spent on retail sales are in franchised units. It is an individual or company that possesses a certain trademark and marketing technology (know-how) of a product or service, who contractually cedes the rights and transfers the use of these, as well as committing himself to provide support and assistance in the organizational, managerial, administrative and marketing areas to the business of the franchisees. It is an individual or company that contractually acquires the right to market a product or service within an exclusive market, utilizing the benefits that he gets by using a certain trademark, and the support he receives in the training and management of the business. Strengthening and preservation of his trademark. Low investment in the expansion of his business. Better operative efficiency in the new units directly operated and supervised by the Franchisees. Increase in the coverage and development of markets. Charge of an initial fee for the rights to use a trademark (which allows him to recuperate in the medium term the investment made in the development of the franchise system). Charge of monthly royalties based on the gross sales of the products and services marketed through the awarded franchises. Reduction in the risk and uncertainty factors by investing in a proven business format. According the Dept. Commerce only five of every 100 franchises fail. Permanent innovation in the methodological and technological aspects of the business. Continuous support on the part of the Franchisor. Documented training based on the Operative Manuals. Access to administrative control systems and evaluation of the performance of his point of sale. Training in the productive processes of products and services. Sense of belonging to a consolidated network of franchises. Access to promotion and advertising programs. Increase in his personal prestige by getting involved in a successful business concept. Franchise fees - royalty, renewals, development, advertising, transfer fees, etc. What does the franchisor provide vs. what can the franchisee purchase on their own. Will franchisor allow existing franchise agreements to be sold/transferred or will a new agreement be needed. Be sure to understand the difference between a franchise and a business opportunity. Interview or speak with other franchisee's. Last but not least - like the purchase of any other business... doing your homework or due diligence is required.